Does Apple need to change course its philosophy of exclusivity? Apple’s map muddle may not have caused any dent in what is increasingly becoming the most successful smartphone of all times– iPhone5. However, it manages to put up a question – can Apple have all of the content cake and eat it too? Presently that is what Apple is setting itself out to do. Apple’s strategy of keeping all external influences out of the confines of its walled garden is beginning to hurt it simply because Apple cannot master all the tools and tricks in the business. The Maps showcased in iOS6 are not as good as Google and no matter what much Apple puts an effort in making it better in a hurry, Google has an edge that has been painstakingly built over the last 3-4 years. Apple’s spectacular success with devices naturally led to the temptation of a network-effects empire i.e controlling all the aspects of service, content and delivery. To such empires, maps are just too important as a way to gather information about users and hit them with ads and e-commerce opportunities. The good side of this is that where Apple can exercise proper control on great content, the experience is simply incredible. The flip to it is that, there will be slips and errors – especially in the content business, which Apple doesnot so much as own fully. Apple for a while managed to tame the power of content and make it subservient, but that day is coming to an end. ( ex.Flash versus Apple). In such a world, Apple will have to change. To maintain its position, the company will have to focus more on giving its devices superb access to content it doesn’t control and hasn’t approved. Apples’ dogged and quixotic quest for control on the eco-system, my lead it to block more realistic and better solutions that emerge on the open Internet. There is leaf out of the book of Amazon that Apple could take a learning from (managing the eco-system). Is Apple lapsing into the ordinary? Even while iPhone is the best selling smartphone ever, the loose, tardy iPhone map application make one think, that Apple’s penchant for beautiful and complete products is perhaaps getting over as the Steve Jobs effect begins to fade away. Sharing the lament fron New York Times. If Steve Jobs were still alive, would the new map application on the iPhone 5 be such an unmitigated disaster? As Apple’s chief executive, Jobs had no tolerance for mediocre products. The last time Apple released a substandard product – MobileMe, in 2008 – Jobs gathered the team into an auditorium, berated them and then got rid of the team leader in front of everybody. No doubt, the iPhone 5, which went on sale recently, will be another hit. But there is nothing about it that is innovative. Plus, it has that nasty glitch. In rolling out a new operating system (OS) for the iPhone 5, Apple replaced Google’s map application with its own, inferior, application, which has infuriated its customers. With maps now a critical feature of smartphones, it seems to be an inexplicable mistake. Part of the reason is obvious: Jobs isn’t there anymore. It is rare that a company is so completely an extension of one man’s brain as Apple was an extension of Jobs. It’s just not the same without the man himself looking over everybody’s shoulder. But there is also a less obvious reason that Apple’s best days may soon be behind it. When Jobs returned to the company in 1997, Apple was in trouble. It could afford to take big risks and, indeed, to search for a new business model. It had nothing to lose. Fifteen years later, Apple has a profitable business model to defend – and a lot to lose. Companies change when that happens. It happens in every industry, but it is especially easy to see in technology, as things move quickly. Less than 15 years ago, Microsoft appeared to be invincible. But once its Windows OS and Office applications became moneymakers, its strategy became geared toward protecting its two cash cows. Now it is Apple’s turn to be king of the hill – and, not surprisingly, it has begun to behave in a similar fashion. You can see it in the patent litigation against Samsung, a costly and counterproductive exercise that has nothing to do with innovation. And you can see it in the decision to replace Google’s map application. Once an ally, Google is now a rival. Apple wants to force its customers to use its own products, even when they are not good. Once companies start acting that way, they become vulnerable to newer competitors that are trying to create something new, instead of milking the old. Just ask BlackBerry, which once reigned supreme in the smartphone market but is now roadkill for Apple and Samsung. Apple demonstrated the power of a cult brand with the launch of iPhone5. While the Androids (HTC One, Samsung Galaxy SIII, Samsung Galaxy SIV) are already at par with the iPhone5 as a device, which led a luke warm reaction to an otherwise hyped launch of iPhone5. 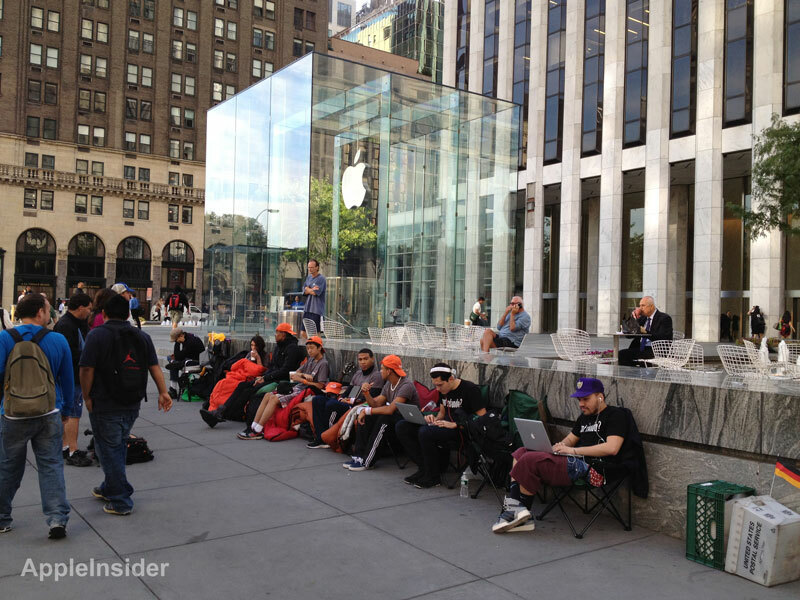 However, if the demand/pre-orders are any indication – iPhone5 is a blockbuster already. 2. It is expected that iPhone5 will sell 58 million units before the year closes (Bloomberg). Contrast that to Samsung Galaxy SIII which will have sold 30 million units in 8 months. iPhone5 would have sold double of the SIII numbers in half the time. Thus the sell thru rate is 4X of the Samsung Galaxy SIII. 3. iPhone5 will generate $36.2 bln. More importantly Apple’s early release and carrier/channel commitments would mean that it would have effectively blocked volume build up on Nokia Lumia series from channels and carriers. Apple has already taken 73% of operating profits in smartphone space. TheIphone5 frenzy could end up furthering that number such that there is not such space left for competition. 4. FBR Capital Markets predicts Apple will 250 million iPhone 5 units over the device’s lifetime. That amounts to $144 billion in revenues, or roughly three times all the revenues that Apple has made from the iPhone in its five-year history. 5. The Apple share price topped $700 basis the pre-bookings that have been received by Apple. There’s still the 7” iPad thats left to rock the Android Tablets boat and taking the unassailable lead on the Amazon tablets. 6. The demand appears to be fueled by iPhone customers who are looking to upgrade. A survey in UK by Usurv indicates that 44% of existing iPhone users want the Apple iPhone 5, while 20% of all smartphone users want to upgrade to the new iPhone without needing any further information about it. 7. Meanwhile, the price for the iPhone 4S will drop to $99 for new contract signers, and the iPhone 4 will be free on contract. That again is a huge fillip to the consumers who intend to buy Apple. 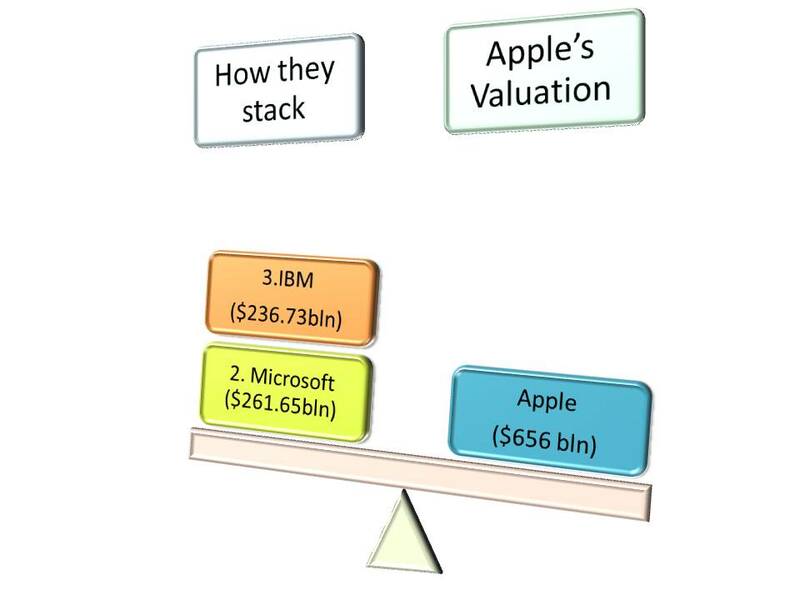 Interestingly, if you look at the Market capitalization of Apple – not only is the most valuable company in the world – it is more than the combined m-cap of the Rank 2 (Microsoft) and Rank 3 (IBM) technology companies in the world. 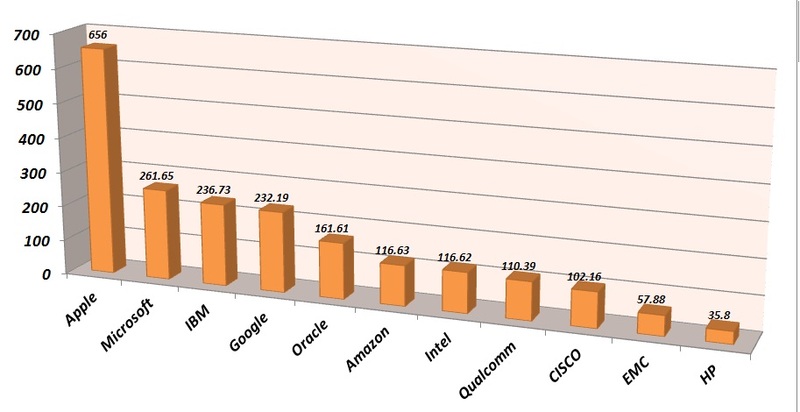 It is more than the combined valuations of Rank 3 (IBM) , Rank 4 (Google), Rank 5 (Oracle) top m-cap companies in the technology space. 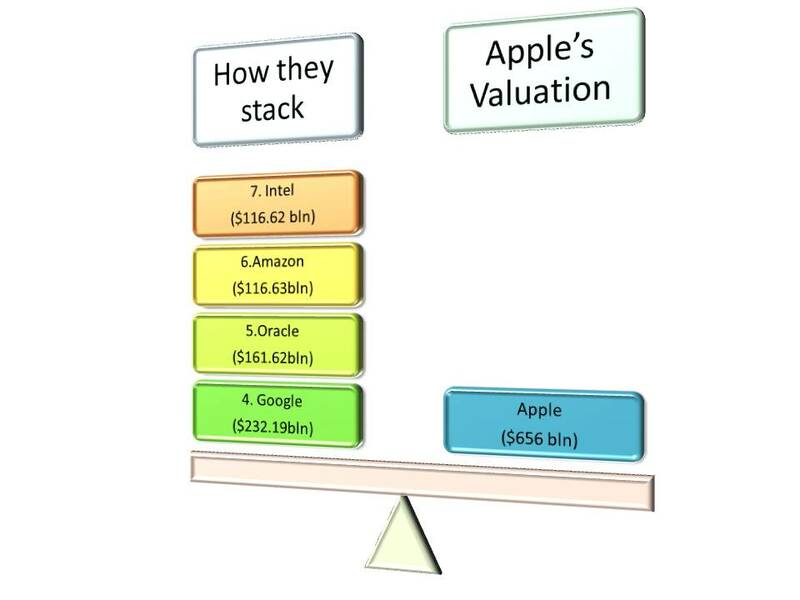 Dig deep and Apple ends up more valuable than the combined valuations of Rank 4 (Google), Rank 5 (Oracle), Rank 6 (Amazon) and Rank 7 (Intel). 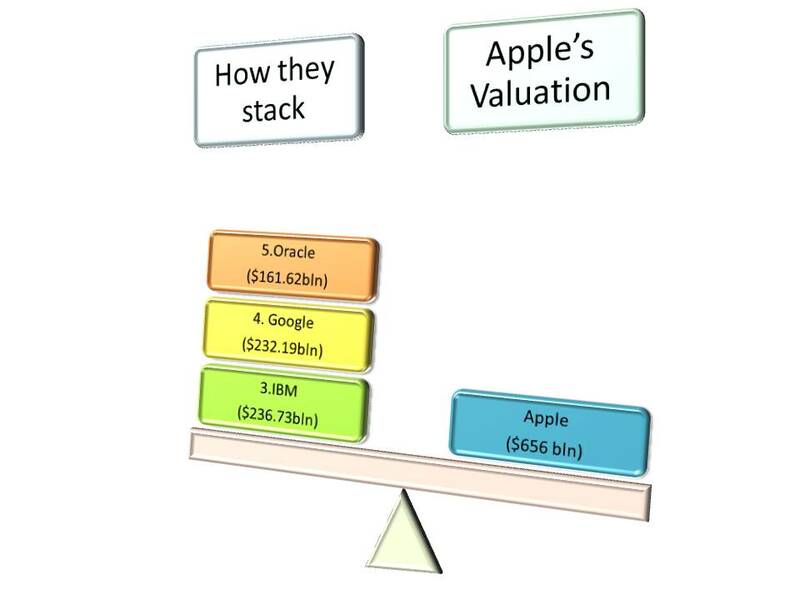 On the final count Apple is a shade behind the combined valuations of Rank 5 to Rank 10 which includes Oracle, Amazon, Intel, Qualcomm, CISCO, EMC put together. Dear Sergei and Larry. Thanks for Android. Now go away. Love, Jeff. 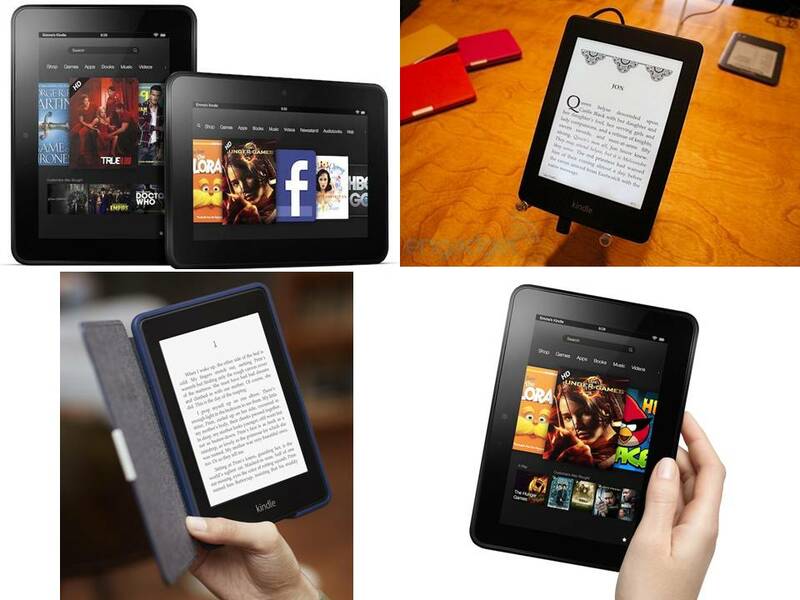 All Androids and even the Microsoft Surface tablet will now feel the fueled by Amazon Kindle Fire. 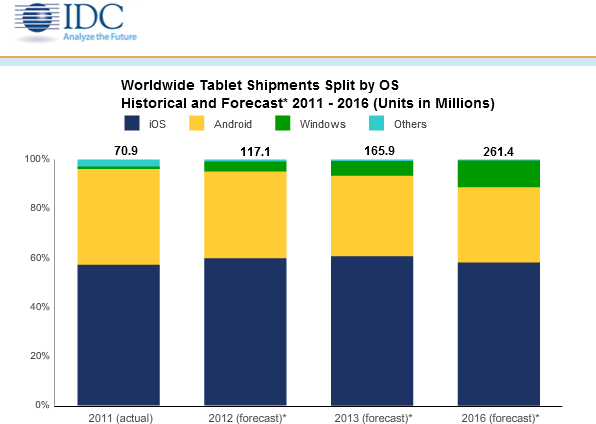 There still is hope for Microsoft tablet with their positioning of content creation plus consumption, but Nexus & the Galaxy seems doomed. While Google has spent its time between Android versions 2.3 or 4.0 – Amazon subverted the philosophy of platforms showing that this is a battle of eco-systems not platforms. While Google has been wondering on the order of the horse and the cart confused between the identity of devices and services and what drives what? – Amazon played to its strengths. It looked at the future from its perspective- where it wanted to be – and the answer being digital distribution has upended the whole process of looking at the technology markets.Amazon’s principle was not to loose resources and time playing a ground game on devices. Instead they put the ball in the air which realley worked up for them. They won being what they are persuing in the long terms- digital distribution. Amazon being Amazon is what’s working for them. Whispersync for Games, which saves game progress in the cloud so the user can pick up the game on another device. Whispersync for Voice, which lets user listen to an audiobook and then pick up where he left off in a regular e-book. X-Ray for video, which pulls content from IMDB and suggestions from the Amazon store when the user pauses a video on a Kindle Fire HD. Kindle FreeTime, which allows parents to set user-based time limits on different types of media (for example, unlimited reading, but only x hours of gaming). The DNA here is services- and Amazon has pulled up far too many victories on this count to beat the crowd in the global markets. Virtually every feature was designed to facilitate shopping at Amazon’s store. Amazon is considered the biggest threat to retail since Wal-mart, and it’s one of the most disruptive forces in every industry that it has touched, from consumer electronics to fulfillment and logistics, to commerce and retail. 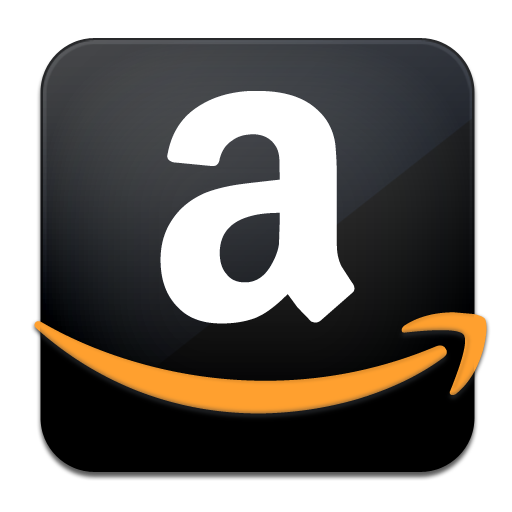 Now Amazon is the course of making its own future as the innovation in digital distribution. And yes, Amazon is playing a long game. This is a marathon, not a sprint. Why is Amazon important? Because they have one of the largest consumer digital ecosystems and this is all about ecosystems.And Amazon is playing to its strength – ecosystems for all where consumers matter and digerati don’t. Has Nokia staged its comeback? The Nokia Lumia has a lot of small details .From a device perspective, the key is that lots of these small details add up to a holistic experience that creates aspiration. However, what ultimately sells is a collection of details properly integrated into a whole experience which needs a complete end to end eco-system integration. That could be a concern for Nokia given the Amazon and Apple strategies of putting their eco-systems as points of differentiation as against just the devices. Nokia Maps is refreshed to include an add-on functionality is that of Offline availability. This is not the usual cached units, but a true offline feature which is important for data conservation. To top it, it has free turn by turn voice navigation. 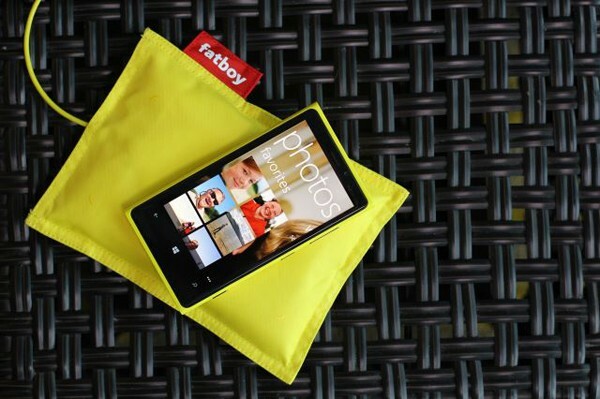 The new Lumia range will support NFC with the only drawback that it connects only to other Windows devices. NFC plays music by placing it on the speakers. Glove dial is another good to have app which allows the capacitive screen to respond to touch by elements other than the human hands – for instance gloves. Pure view on the new range of Lumia phones is more than a Megapixel count. SO there’s no point in getting misled by a 8MP count on the camera. The Pure View captures between 5-10x the light of any other camera in a phone and easily surpasses image stabilization of most DSLRs. The Floating lens technology used is used to stabilize the lens for HD video stabilization as well. Cinemagraph which essentially adds a video experience on a still photo. A hybrid between the still and video – it also allows frames customization. The Smart Shoot feature allows to get rid of unwanted parts of an image automatically. Nokia integrates the Photosynth augmented reality app too create a hyperlink navigated real time picture of the world indexed by photographs in the web. Photosynth takes a large collection of photos of a place or object, analyzes them for similarities, and displays them in a reconstructed 3-Dimensional space. Now that once done is a WOW! The message through the launch event of Lumia is loud and clear -Nokia ecosystem is growing and Nokia has a direction. Music, Navigation and Imaging are the Nokia mantras – as Nokia delves deep into the consumer psyche of why and how the phones are used. While the absence of a launch date and pricing are huge dampeners, the new direction that the Nokia-Windows partnership is taking is pretty interesting. The only problem remains is that Apple’ event scheduled for 12th September may see an immediate launch – and the absence of Nokia for the next 2 months will mean that the iPhone5 will take all the shelf space, operator space and consumer space – leaving Nokia out to fight its way back. But so far – it’s a new direction for Nokia and personally I am glad that Nokia-Windows seems to be putting a spirited comeback. The only silent fellow in this interim is Android which seems to be fast fading and loosing its colors. 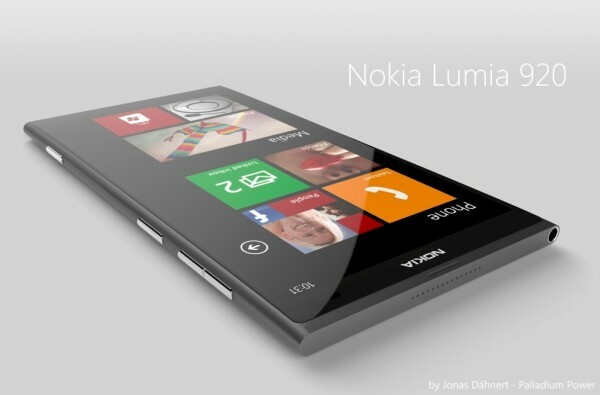 Nokia’s second coming – The Lumia! Too often technology is being used to protect old business models rather than unlock new ones. Fortunately for Nokia, it seems to have broken this paradigm as it embarks on a slow climb upward from it Symbian to Microsoft Windows 8 OS. O 5th Septmebre 2012, Nokia went to show the first Windows 8 devices for the record. The event tagline – SwitchtoLumia is very apt, timely and relevant as RIM & some Android users are looking for something different. Unboutedly, iPhone5 will pick up many of the BB/Android dissenters, but the latest Lumia launches by Nokia, gives it a chance – its real one in over 3-4 years. The good thing for the Nokia- Microsoft duo is that no one will ever confuse Windows Phone with Android or iOS. The challenge is can Nokia and Microsoft explain how different is better. Nokia’s second challenge is to differentiate Nokia devices from other Windows Phones. Samsung has already tried one-upp’ing Nokia by pre-announcing the ACTIV S 5 days before Nokia announced the Lumias. Nokia has clearly raised the bar in terms of core hardware features. Visible differentiation is there in terms of the device look, finish and feel. On the positioning front, Nokia is betting big on Imaging,Music and Location as core differentiators that can drive adoption. WP8 is the enabler but getting the eco-system to ride on the top and provide key differentials is what’s going to differentiate these devices versus the Android Army. Thats a hell of a ask, with the number of partners involved and the fact that everyone needs to be in sync.